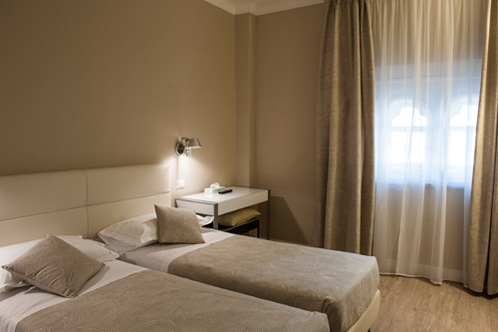 Air - contiditioned room with King-size bed, or two single beds. 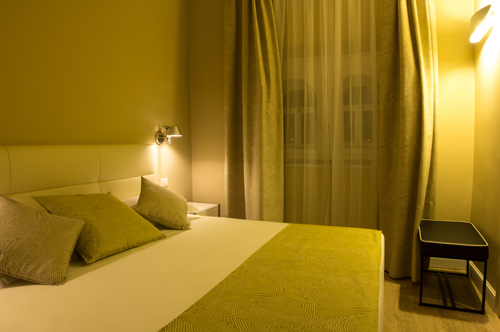 Air – contiditioned room with King-size bed, or two single beds, comfortable and modern furnishing, perfectly combined with the Liberty flair of the palace. Side room overlooking the promenade, or the street, equipped with minibar (with still and sparkling water and a soft drink), Free wi-fi, flat screen Led TV with both Italian and international channels and Mediaset Premium with football,cinema ,series, documentaries channels and free Wi-fi internet connection.